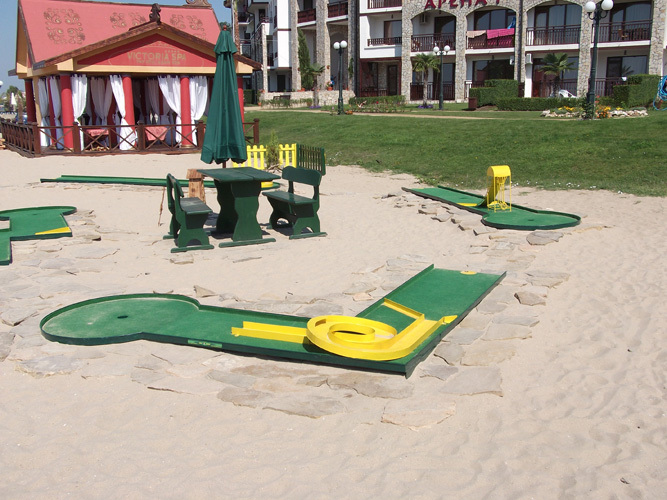 The first mini-golf courses appeared in Europe almost 100 years ago. 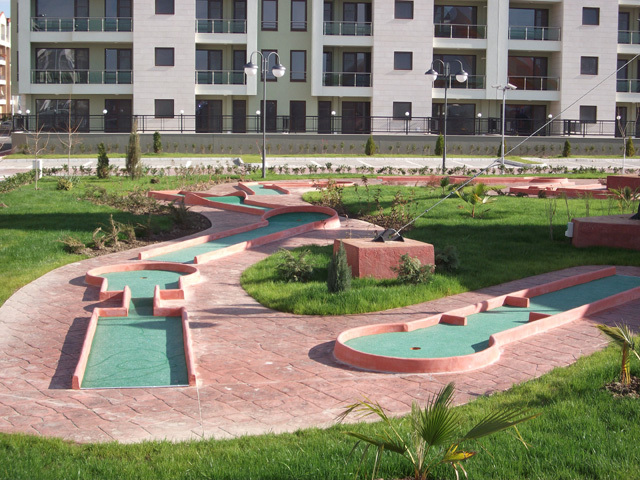 The development of an early artificial green in 1922 led to a boom in mini-golf courses. By the late 1920s there were over 150 rooftop courses in New York City alone, and thousands across the United States. Over the years, countless varieties of courses have been built around the world. Some incorporated interactive props to challenge players. Others developed elaborate landscaping, waterfalls, and natural features or built challenging greens to turn the game into a true sport. 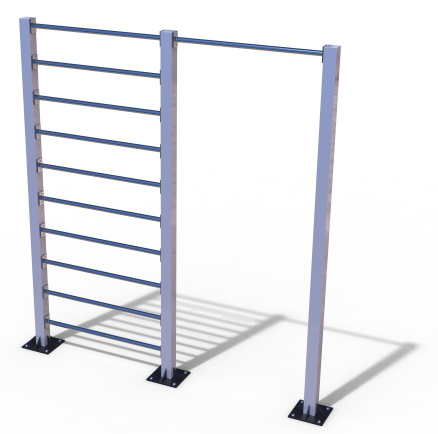 And in some cases, it was a matter of slapping together some 2×4’s and outdoor carpet to cash in on the simple fun of the game. 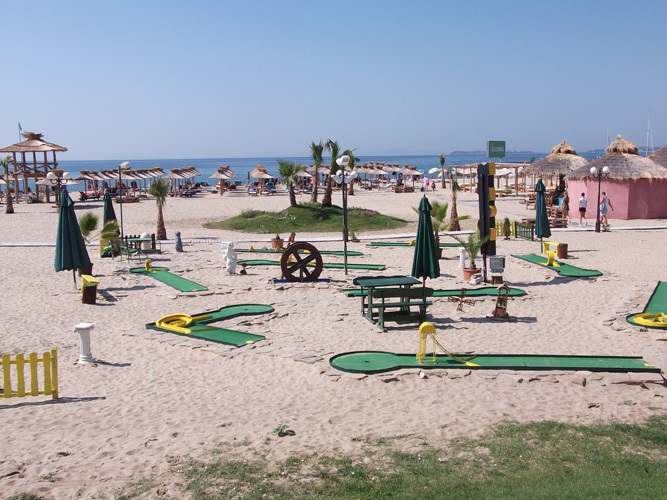 Today most tourist areas are home to elaborate mini-golf courses and they continue to attract huge numbers of players. 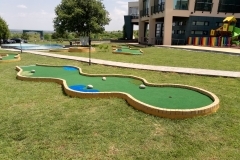 Miniature golf has become a part of the amusement landscape and in all of its many variations, the fun of the game and the appeal to all age groups remains. 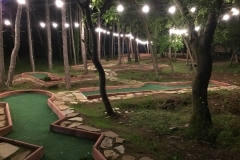 In the last decade, the biggest development in mini-golf has been the introduction of black light mini-golf courses (sometimes referred to as “glow golf”). Black light mini-golf is a truly global success. 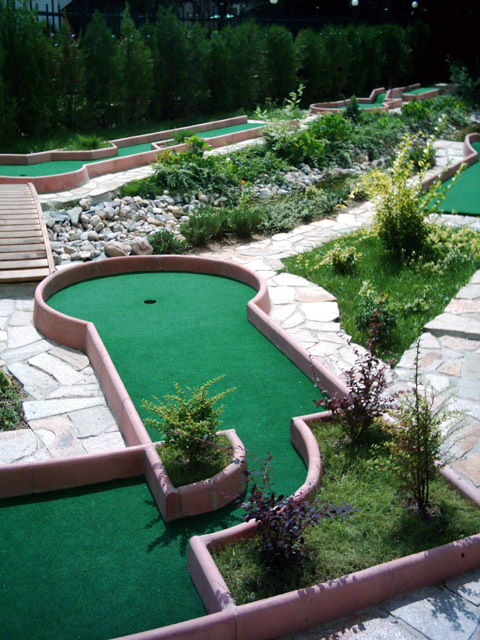 People from many diverse backgrounds and cultures all love playing mini-golf. 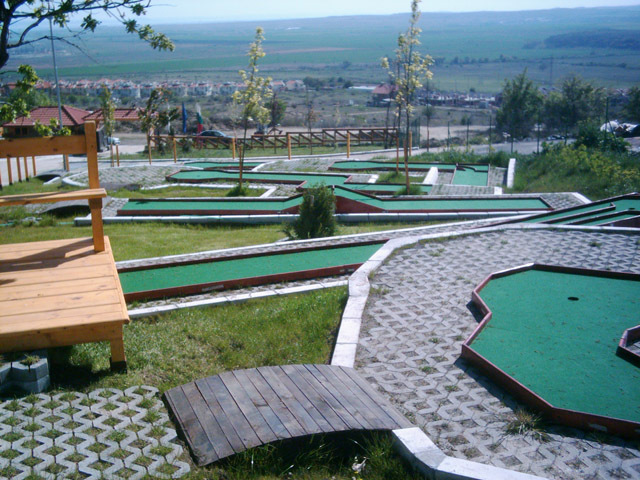 Mini-golf courses can be found throughout North America, South America, Central America, Europe, Asia, the Middle East, and Australia. 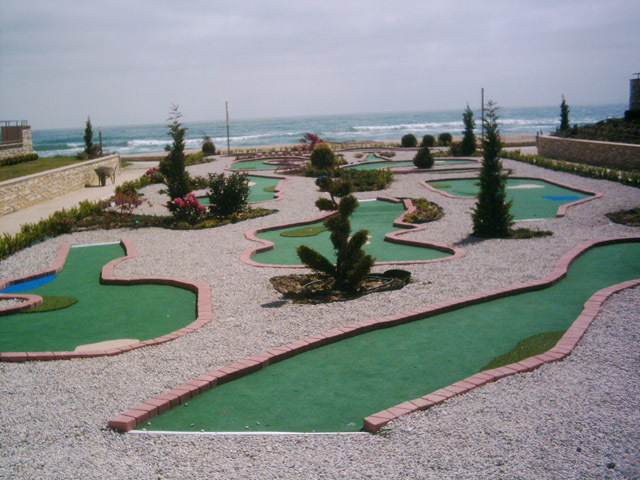 It is estimated that over a quarter of a billion mini-golf games are played every year worldwide and that number continues to grow. 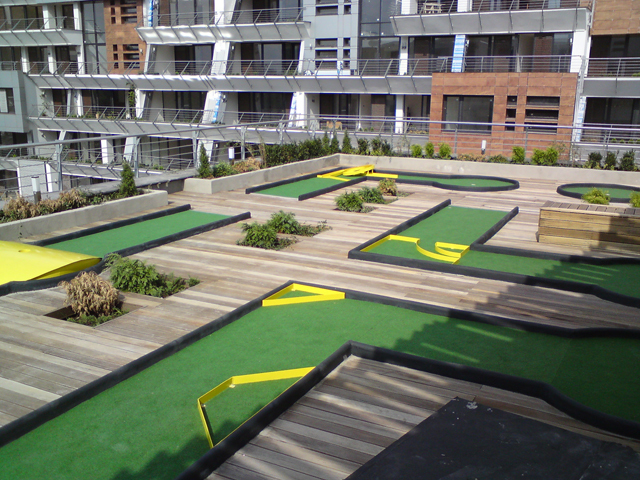 Mini-golf has swept through the entertainment industry like wildfire and can be found in FECs, bowling centers, shopping malls, tourist attractions, skating rinks, amusement parks and more. 6–15 year-olds – This is typically the core of your business. This will mostly come from party bookings, special groups, and walk-ins. Adults – This includes corporate parties and adult group bookings. 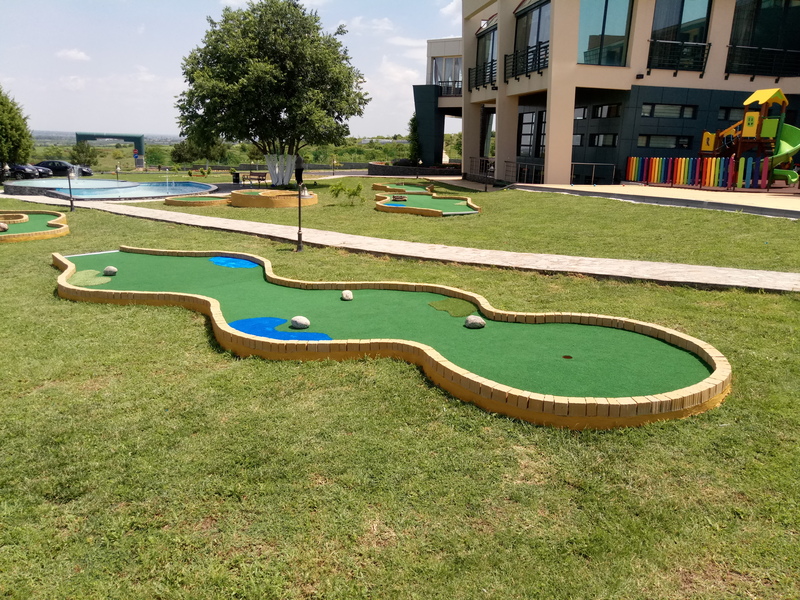 Often companies will look at mini-golf as a great team building activity or the perfect location for a year-end party for their staff. There really is no business or group that cannot be solicited for business. Targeting these groups can lead to BIG profit! 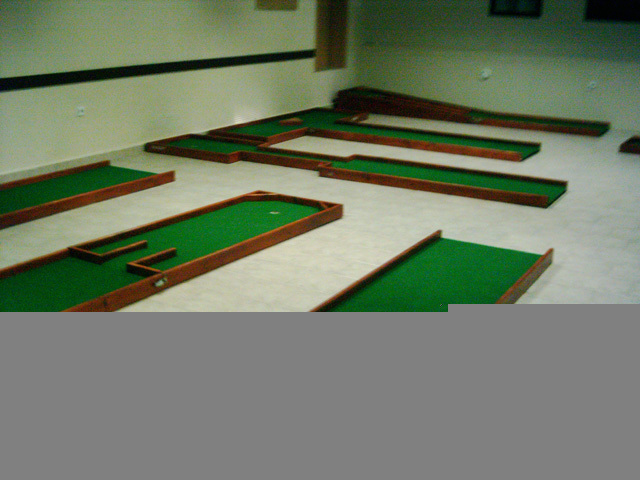 Members – Some mini-golf players are very competitive and will literally play hundreds of games in a lifetime. 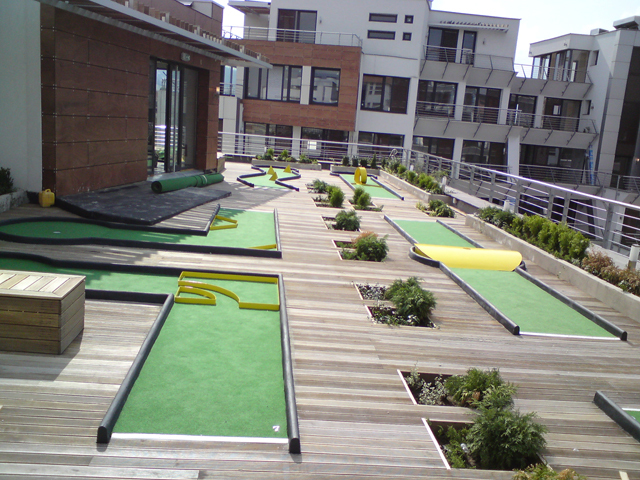 They are very passionate about the game and their abilities and see mini-golf as more of a sport. Treat these customers right and they will take care of you. This is a good group to run tournaments with. 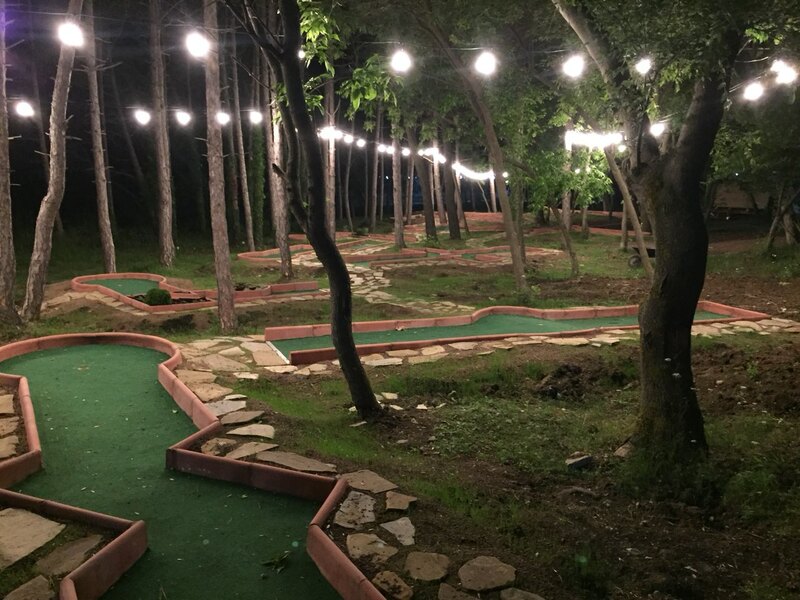 Black light mini-golf has found success in many different types of locations. 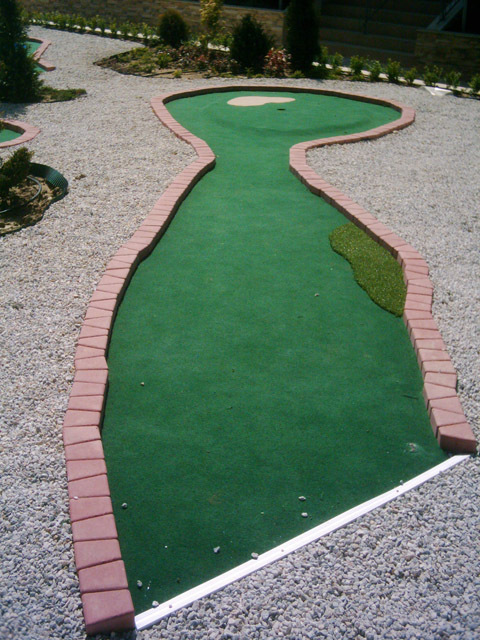 Many of these are stand-alone mini-golf locations where mini-golf is the only or the primary draw to the business. The fastest growing segment of new mini-golf sites is found in what we call complimentary locations. 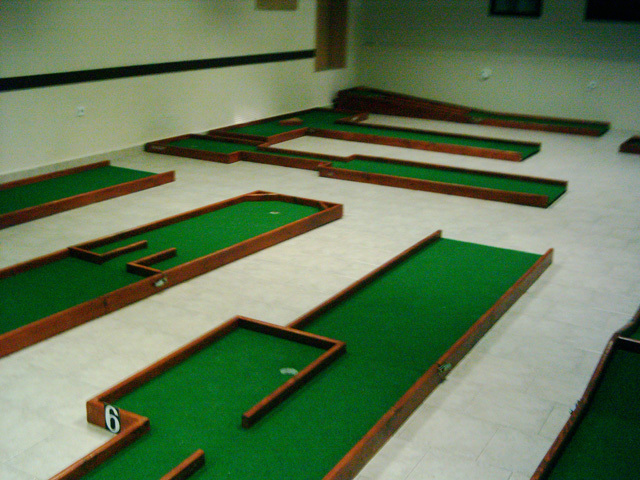 Complimentary locations are sites where mini-golf is included as one of several attractions in businesses such as bowling centers, amusement parks, FECs, tourist spots, shopping malls, roller skating centers, etc. 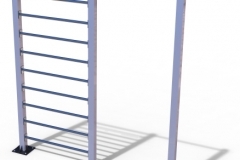 Like any business, the goal is to maximize revenues and profits. Often by offering multiple products or services, a business can increase their customer base, overall revenue and ultimately their profits. 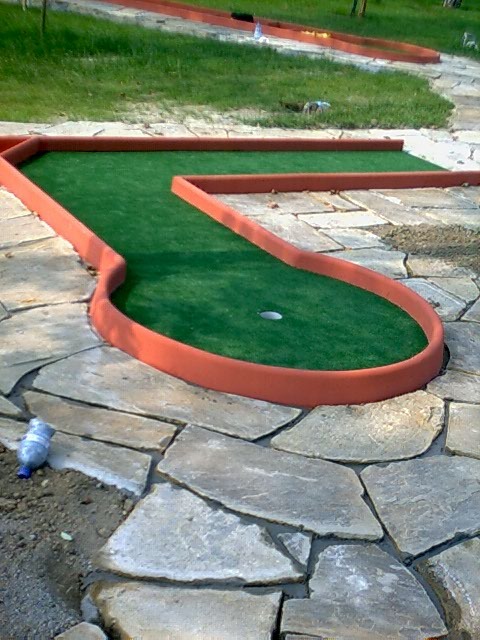 Mini-golf is no different. By adding booster attractions alongside the mini-golf attraction, business owners quickly realize benefits including: appealing to more people, more options for group and party packages, increasing average revenue per visit/per person, increasing business capacity at peak times, and more. 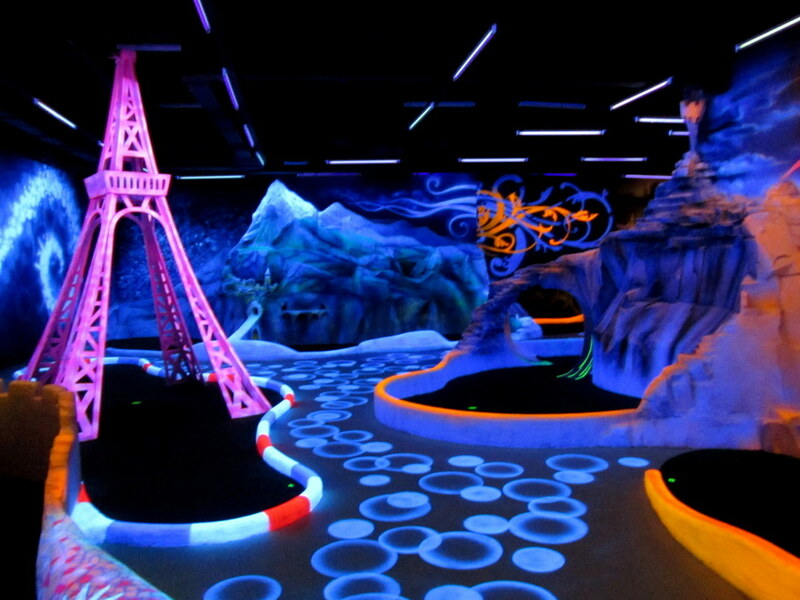 For over 10 years, black light miniature golf as an industry has rapidly grown in popularity and profitability. Black light mini-golf can be found at stand-alone locations, tourist spots, amusement parks, FECs bowling centers, shopping malls, etc. Collectively there are now over 300 black light mini-golf locations worldwide, blazing a track record of success that speaks for itself. 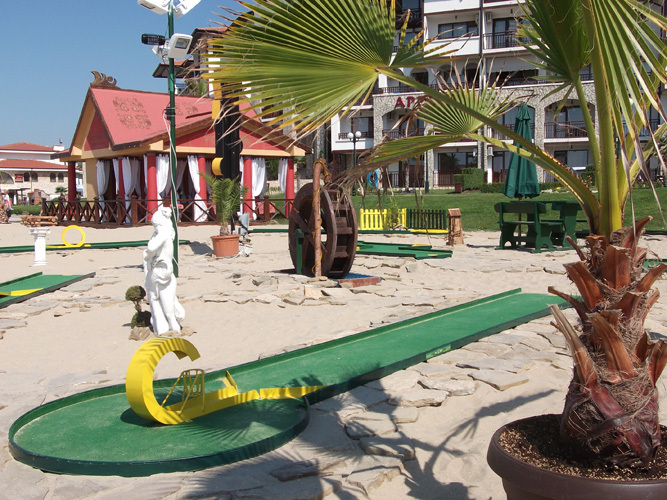 At the core of mini-golf success is the simple fact that it is fun to play and many customers return to play again and again! 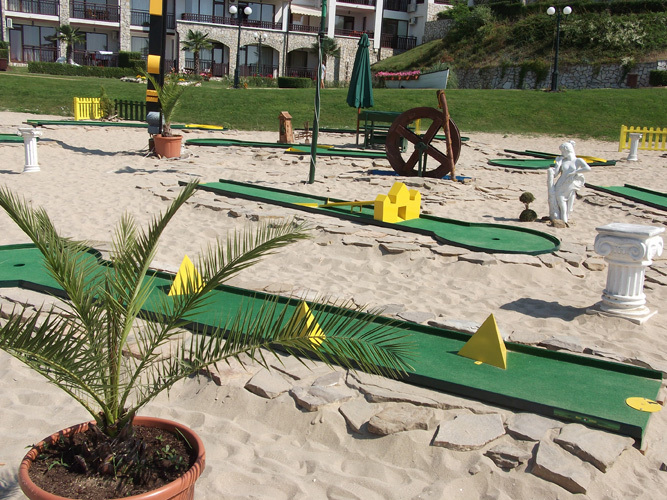 People of all ages and backgrounds play mini-golf. 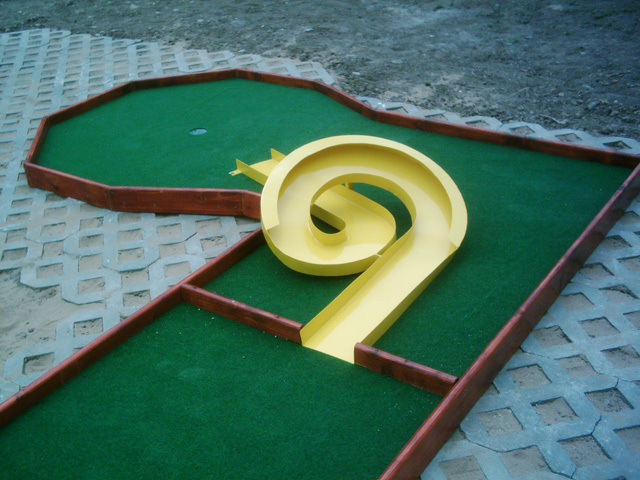 Mini-golf is a great attraction for birthdays, group events and corporate parties. 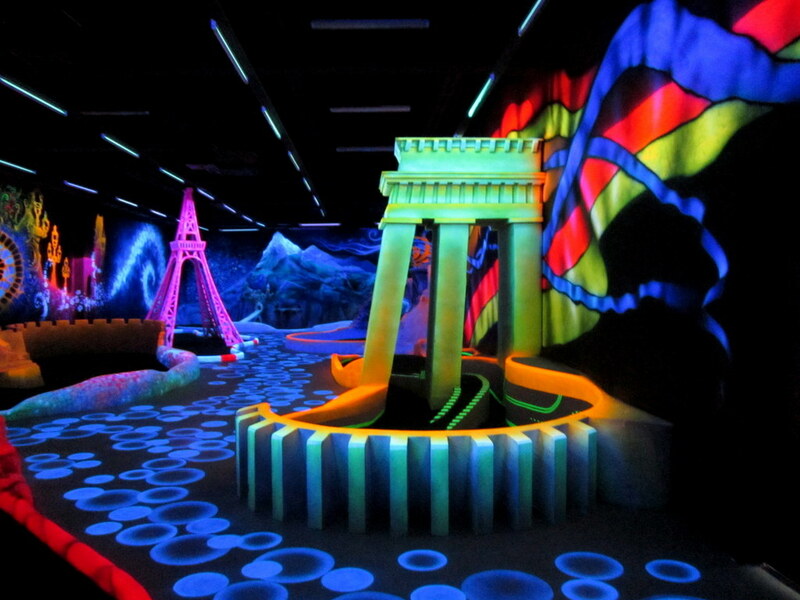 Black Light Miniature Golf is an out of this world experience that takes classic mini-golf to a whole new level. 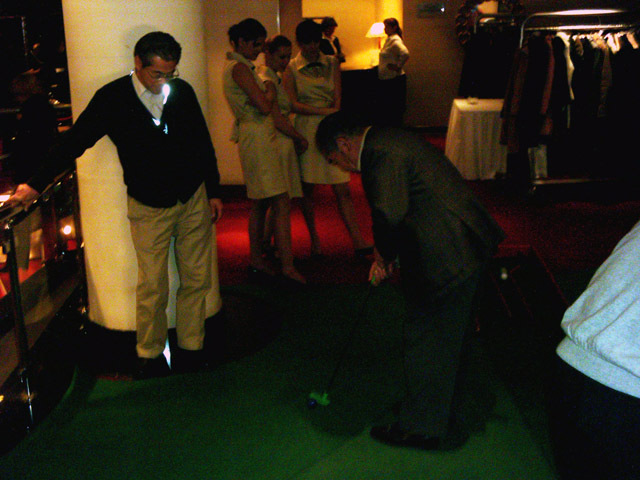 With a glowing putter and ball, players enter a themed world of adventure and compete on black light courses that are generally either 9 or 18 holes in length. 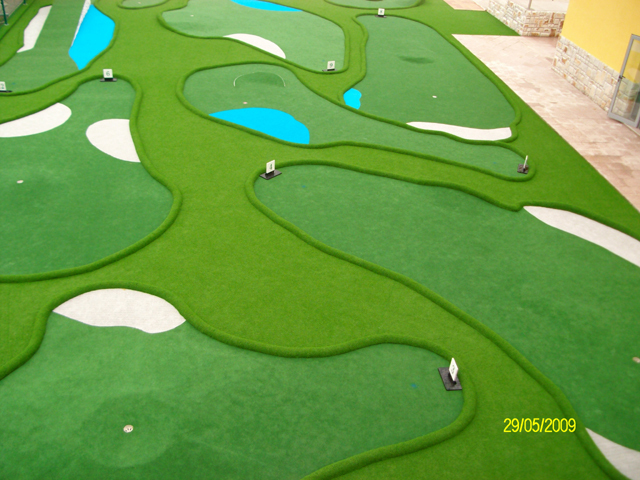 The typical length of a game is approximately 2 minutes per hole or 18 minutes for 9 holes and 36 minutes for 18 holes. 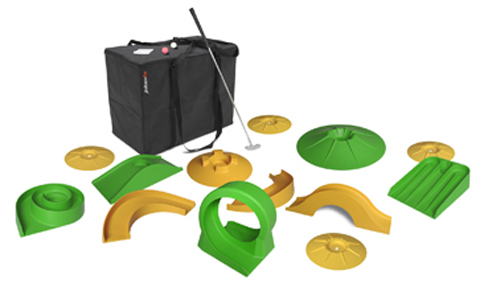 Courses today include a check-in area, a variety of themes, challenging hole designs, and sometimes interactive and/or moving props. Check-In Area – This is where the players check in to pay for and schedule a time for their game. They usually also get their putter, ball, and scorecard here as well. 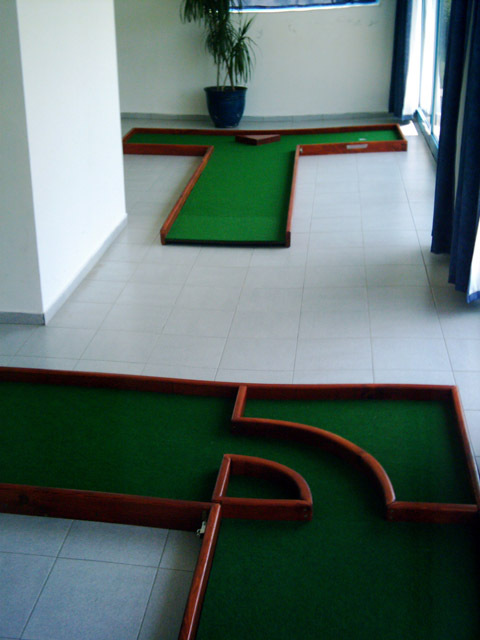 Mini-Golf / How To Play – The black light mini-golf course is the heart and soul of the mini-golf experience. Courses today are typically heavily themed with elaborate 3-D props and vibrant murals on the walls. Pulsating music, moving props, and sound effects are also sometimes incorporated to further enhance the experience. 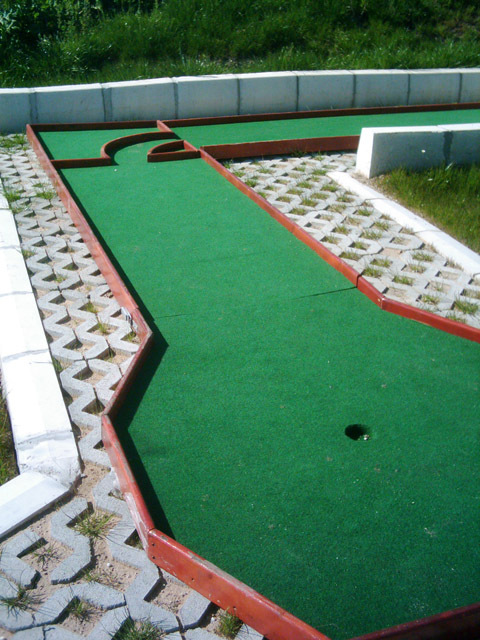 A typical mini-golf game can have up to 4 players on each hole at a time. 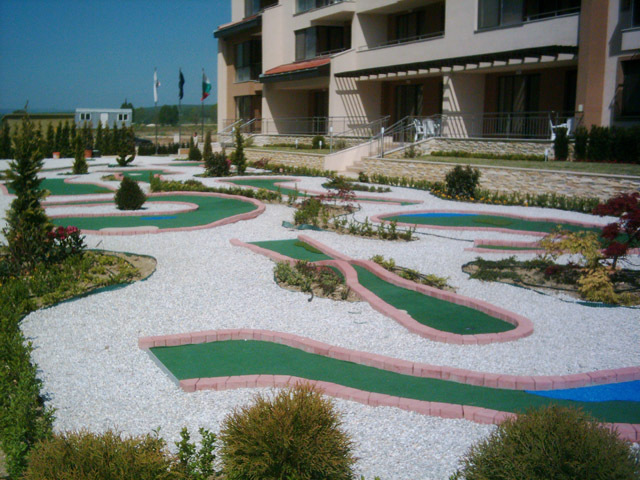 Players each putt one at a time with the person furthest from the hole putting next and play proceeds from there. 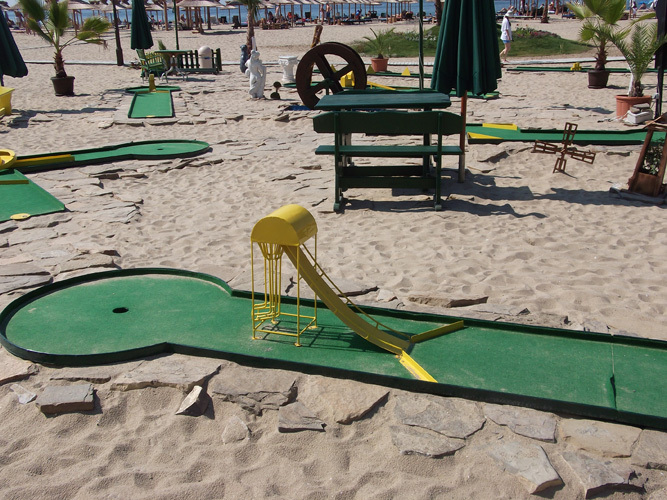 Once each player has managed to putt their ball into the hole, they all proceed to the next hole together. As in real golf, basic etiquette is required. If you are a slower playing group, it is proper to let other groups play through. Course Themes – The Disney parks, Universal Studios, Legoland and others all enjoy extraordinary success because they go far beyond simply offering rides and attractions. They know the importance of effective theming for their businesses. These parks allow guests to suspend disbelief so that they become involved in the experience. The entertainment goal of a successful black light miniature golf center is no different. Guests should feel they are in a special place… a world of fantasy… an out of this world experience. Popular themes include Outer Space, Aztec Ruins, Jungle Adventure, Pirate, Underwater, Dinosaur, Circus/Carnival, and Retro (50’s/Rock and Roll). 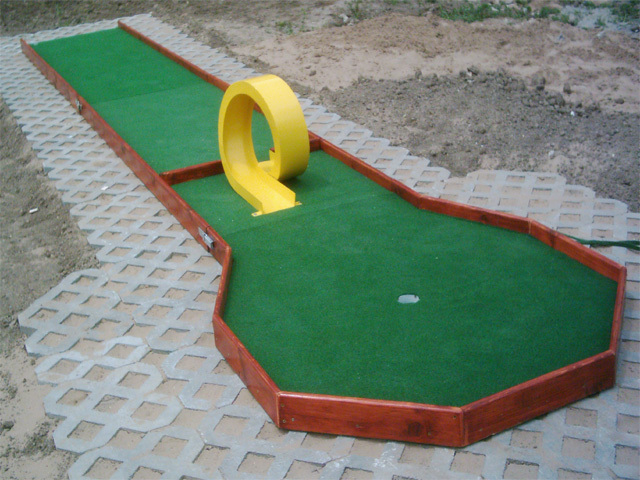 Hole Design – Typically each golf hole is designed to be a par 3. 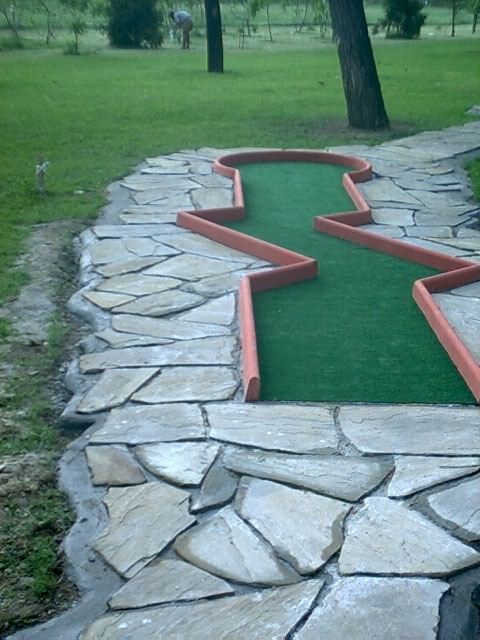 Most holes will give players the opportunity for a hole-in-one with a great shot. A good score is a 2 or 3. 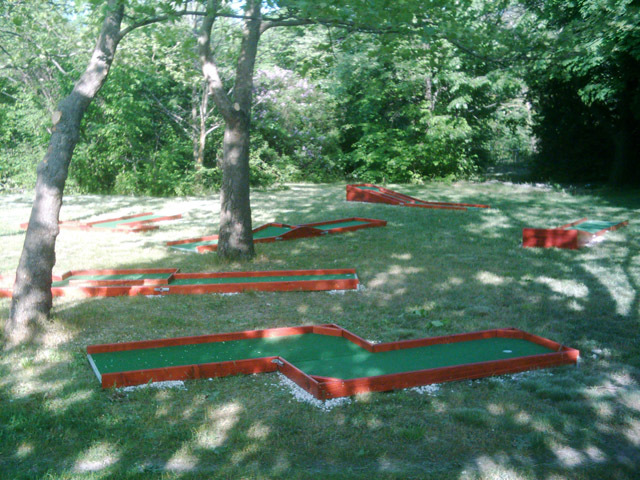 The maximum score on each hole is usually capped at 6 to keep speed of play up. 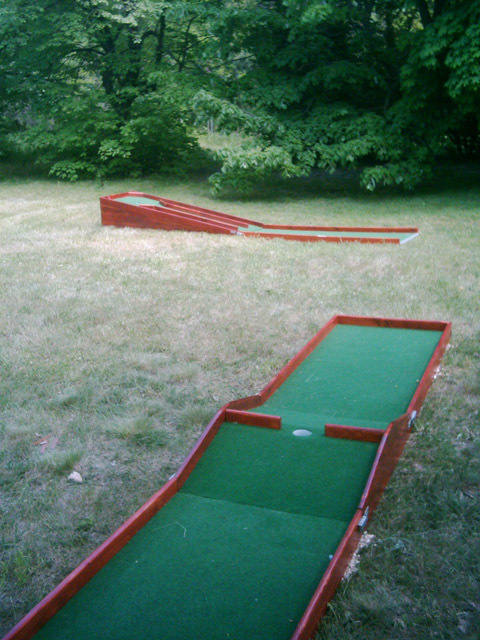 Most golf holes require players to bank their ball off side curbs or props and/or putt through various obstacles. 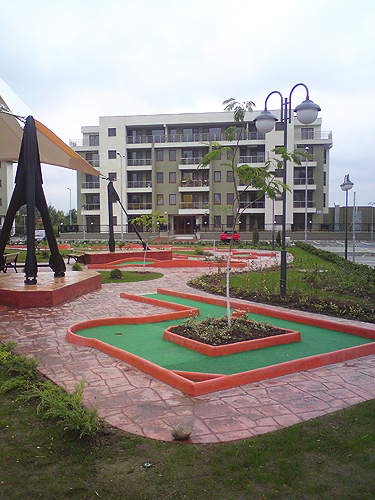 Mini-golf is a game of skill and keeps players coming back again and again as they try to master it. No two games are ever the same. 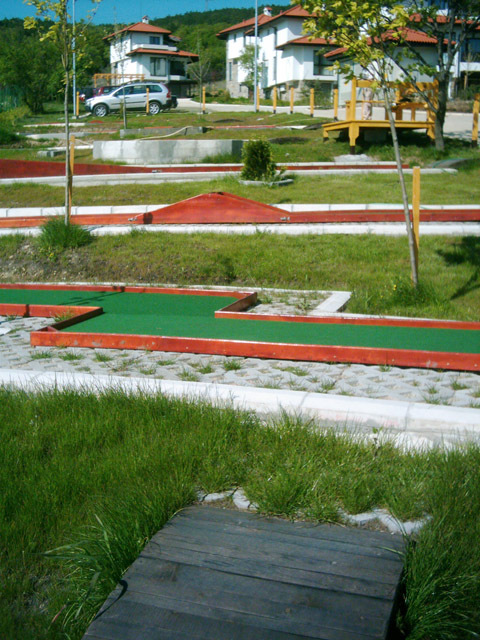 Game Results – After each game, the players exit the mini-golf area to return their putters and balls (sometimes balls are captured in a lockbox on the 18th hole). Once outside, players can review their scorecards to see how well they did individually or against other players in their group or tournament.